"She has incredible poise – you can throw almost anything at her and it's as if she'd expected it all along." "A brilliant all-rounder who is incredibly well polished." 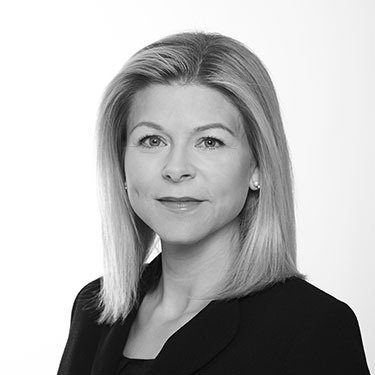 Emma is known amongst fellow professionals for her clear, incisive views, confident advocacy, effective negotiation skills and friendly manner. She enjoys building a rapport with clients, for whom she works tirelessly and is praised by Chambers & Partners for her “excellent client care skills”. She is also renowned for being “very good with judges” and “excellent on her feet” with “a real iron fist in velvet glove approach, which is extremely effective”. This high regard has led the directories to rank for many years as one of the leading practitioners amongst her peers in the area of matrimonial finance. Financial remedy cases often involving substantial assets.